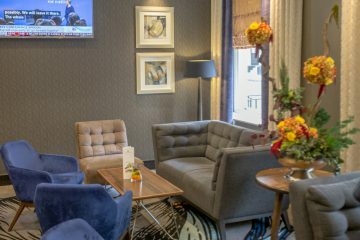 Sofas and cozy nooks at the Westbourne Hyde Park Hotel. You know how regular travelers and tourists go see the attractions and take neat photos of them? Well not us. 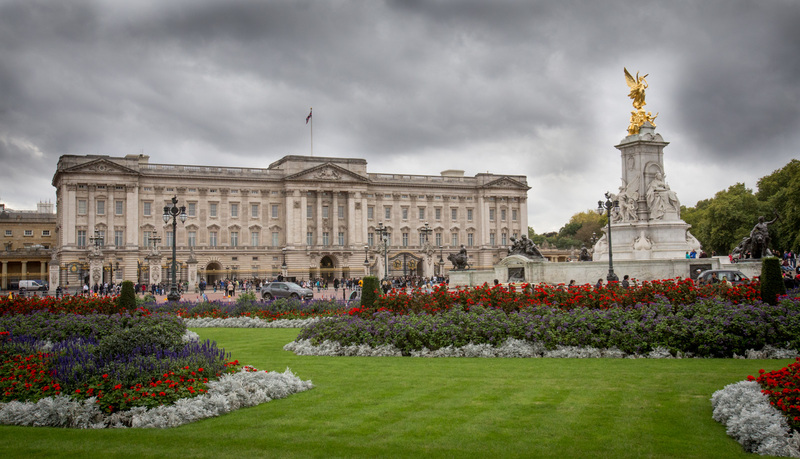 While staying with the Westbourne Hyde Park Hotel in London we went to see Buckingham Palace… and ended up crawling on the ground while the regular people watched. Such is the life of a filming location blogger. 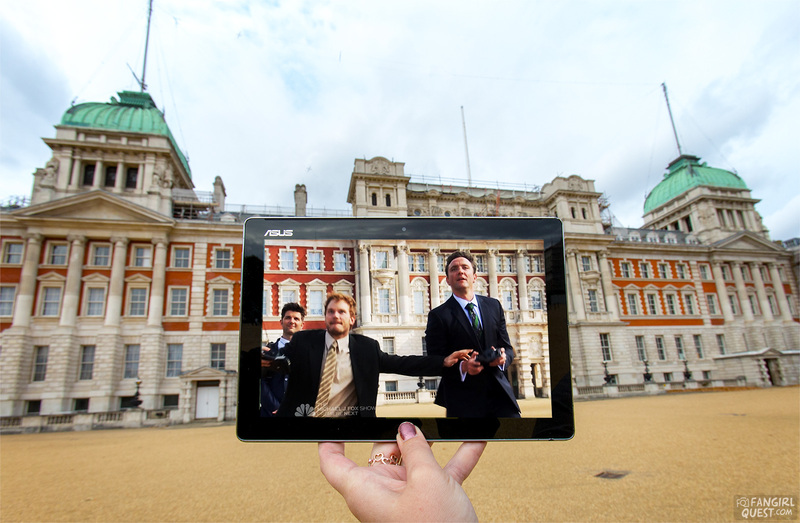 Now, we’ve seen Buckingham Palace before, but this time we decided to go and do a little sceneframing in front of it. We had plans to see a West End play called Oslo that evening and wanted to have a little something for the main star, Toby Stephens, to look at and maybe sign at the stage door. For those of you who aren’t familiar with the amazing Mr. Stephens, we’ll have you know that he’s the main dude on Starz‘ brilliant TV show Black Sails (which you should totally watch because pirates!). And since we haven’t (yet!) visited South Africa where the show is filmed, we had to go with something else. So we went with an absolutely hilarious behind the scenes photo from 007 – Die Another Day (2002). 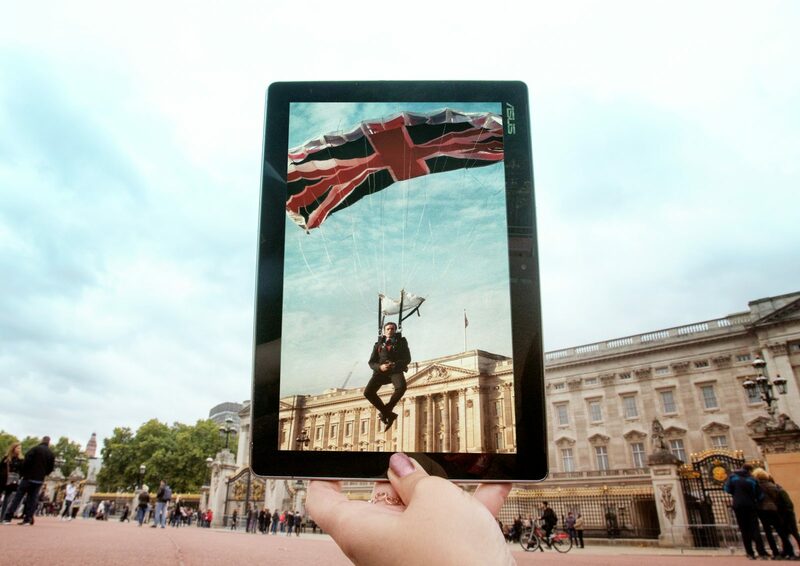 There’s a scene where Toby’s character, Gustav Graves, lands in front of Buckingham Palace with a Union Jack parachute. 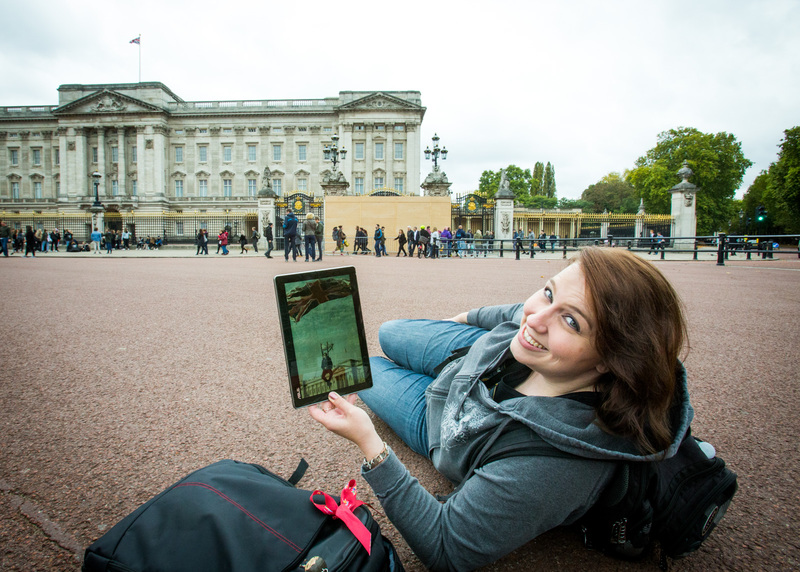 Instead of any action shot we wanted to do the fun shot of him, you know… just literally hanging in front of the palace. Like, no big deal. Just hanging. Favorite thing? We tweeted both of these photos later and Toby himself liked it on Twitter. Ha! And oh yeah… then we also met him and got copies of that photo signed! ? Another cool thing happening in London at the moment is the production of Good Omens, a series based on Neil Gaiman‘s book. 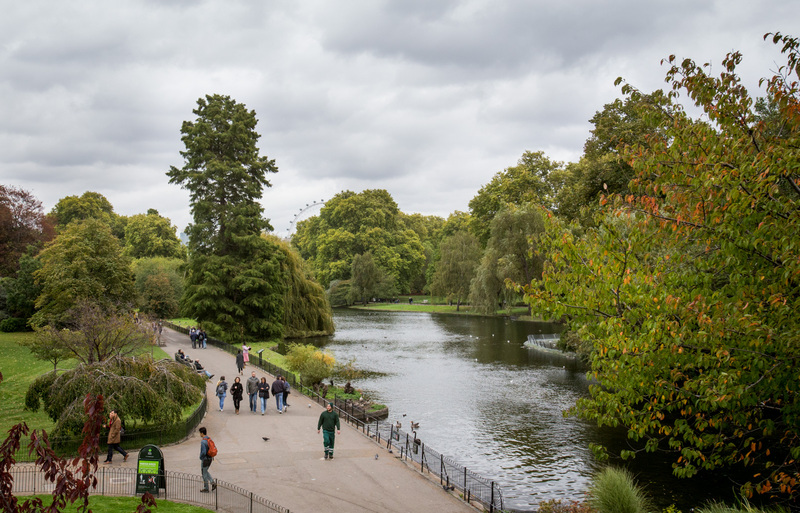 We had seen some photos of David Tennant & co filming in St. James’s Park, so we decided to go and check it out. You know, just in case we happened to bump into the cast and crew. Unfortunately, no Tennant or other cast members in sight. But no worries! 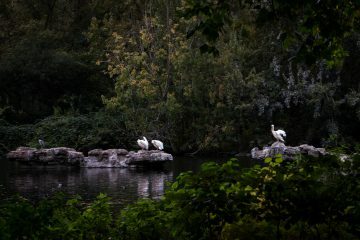 Our little hopeful journey through the park turned into a lovely bird spotting walk. 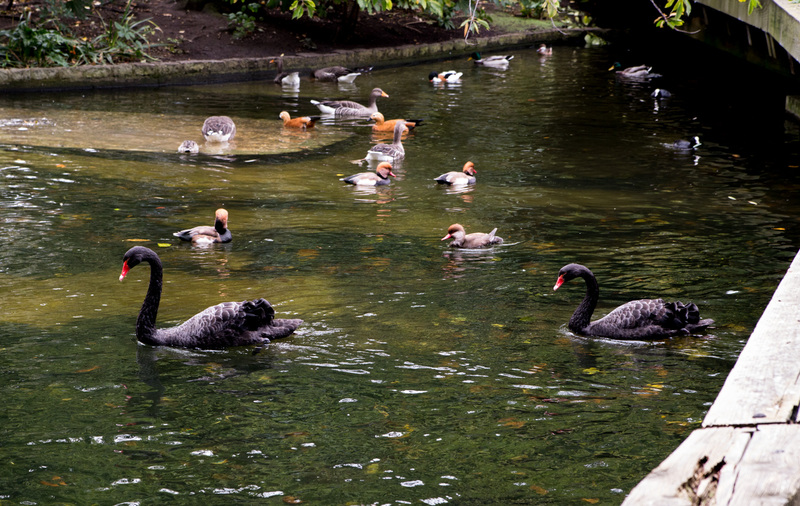 Black swans, little herons, loads of ducks and the most amazing things: pelicans. Really, these guys were huge. 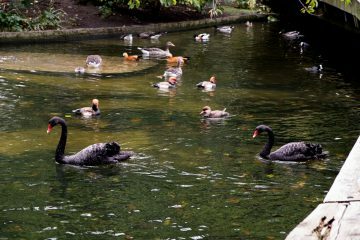 Black swans!! Got way too excited about these guys. 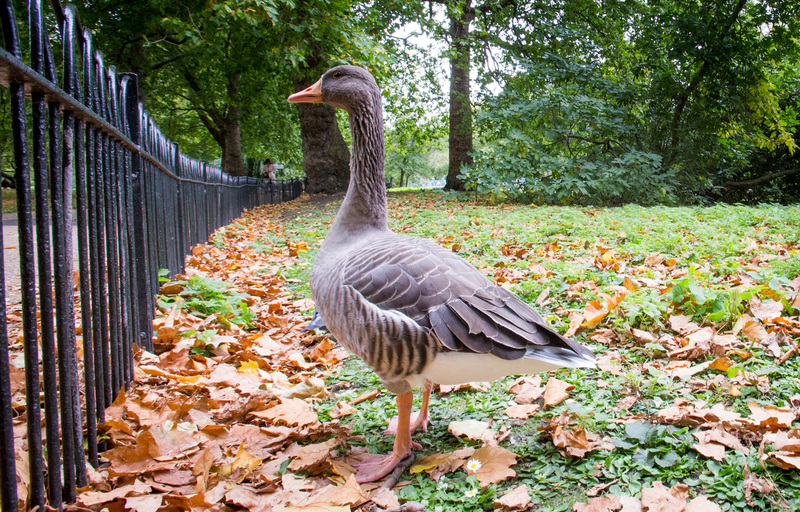 Duck duck duck duck goose! 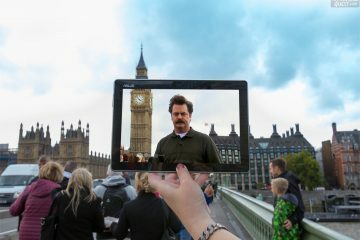 One of the funniest shows on earth, Parks and Recreation, was filmed in southern California, but lucky for us, they also did a short filming trip to London. 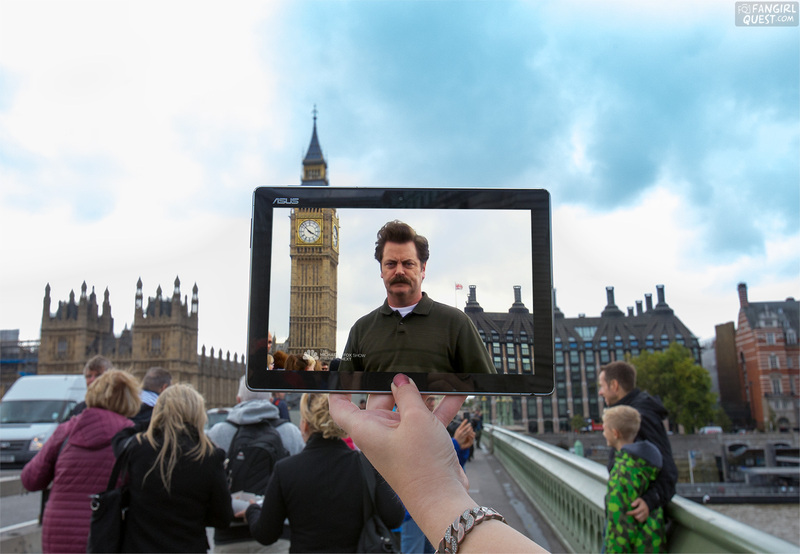 This double episode and premiere of season 6 was a hilarious look into the ensemble’s trip to the UK and had most of the cast members appearing in front of famous spots around the city. 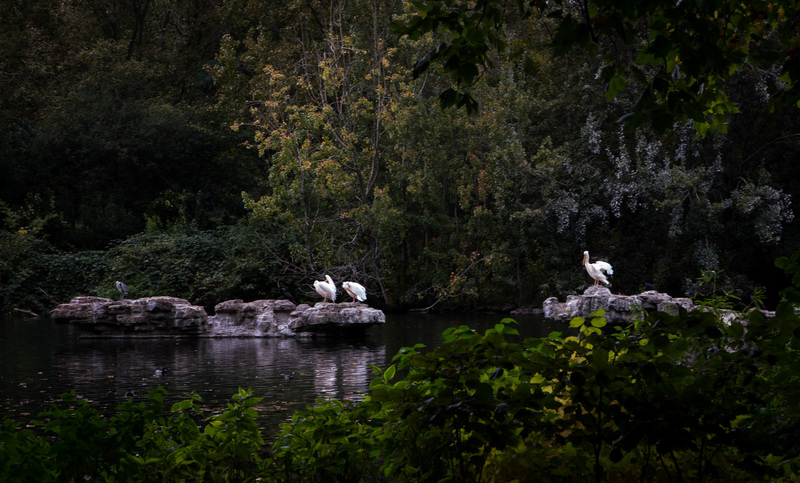 We have a few old shots hidden away somewhere, but re-did a couple of them during this trip. 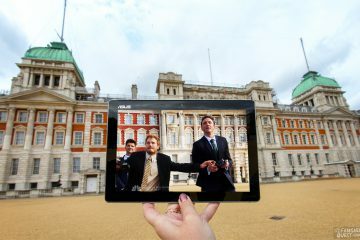 First, Ron Swanson (Nick Offerman) making fun of Big Ben; then Ben and Andy (Adam Scott and Chris Pratt) fooling around with a rich character called Lord Edgar Covington in front of Admiralty House. 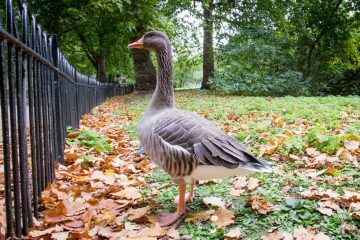 Our stay with the Westbourne Hyde Park Hotel …and a discount code! What’s the best thing a tired traveler can hope for? Well, a decent hotel. Or better yet, a super lovely, clean, comfortable, beautiful hotel! That’s what we had upon our arrival to London after our trip to Alaska and British Columbia, and the long overnight flight that followed. 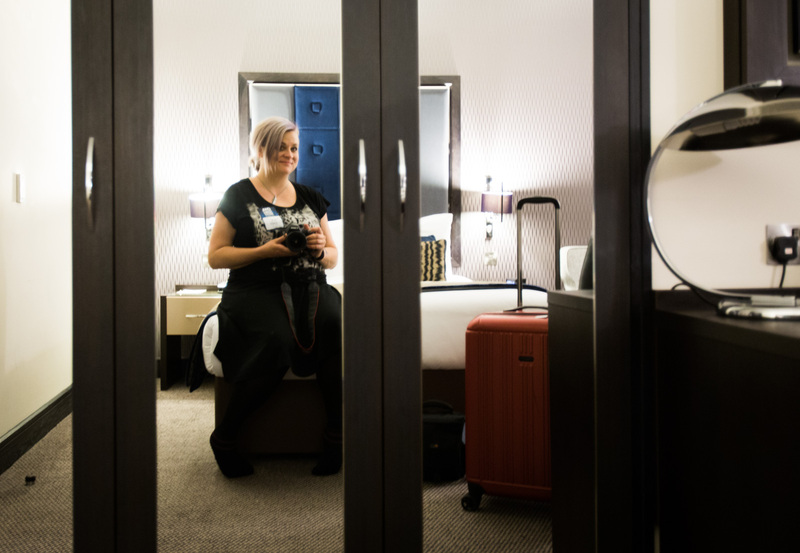 Our stay with the Westbourne Hyde Park hotel only lasted a night, but we would’ve happily stayed for a little longer. Note: If you’re looking for a lovely boutique hotel in London and want to try the Westbourne Hyde Park, do scroll down to the end of this post for a discount code! The lovely lobby of Westbourne Hyde Park Hotel. The thing is, one of the features almost always missing from luxury or boutique hotels is a kitchen. You won’t probably need a kitchen if you’re on a one or two night trip, but once you’ve been on the road for a couple of weeks, you sort of want to just have a meal in your room instead of heading out to look for “someplace nice”. The tired traveler has arrived. 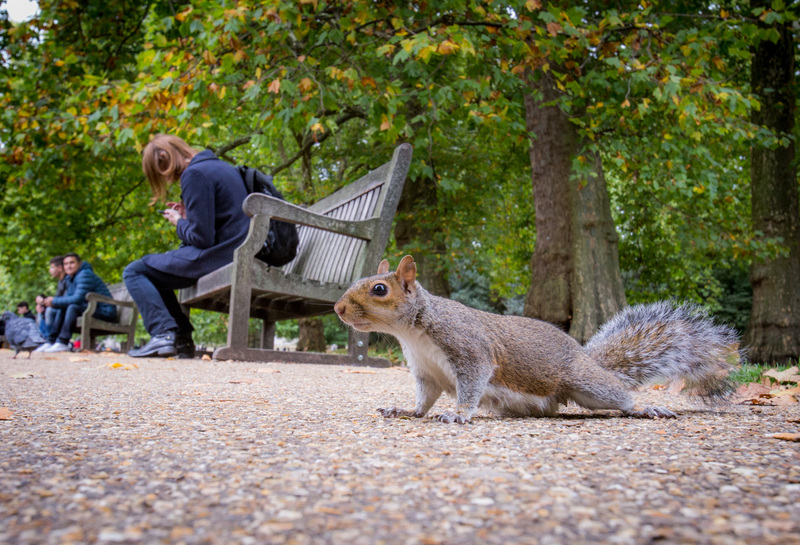 But that’s what we had at the Westbourne Hyde Park. A little kitchen with all the essential home appliances, dishes, pots and kettles. We didn’t have time for anything complicated, but it was still quite awesome to enjoy some hot meals in the quiet of our own rooms after a night out in the theatre. 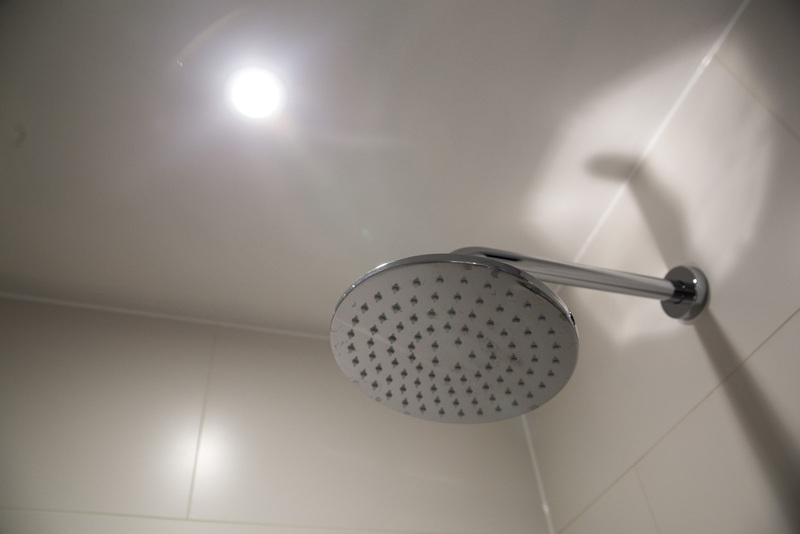 …which is the SHOWER! It might not look like anything special in this artsy photo below, but it was heavenly. Great water pressure, rain shower function and a super spacious shower cubicle and we were sold. We stayed in separate rooms, but once we got back together in the morning, the shower was the first thing we discussed. 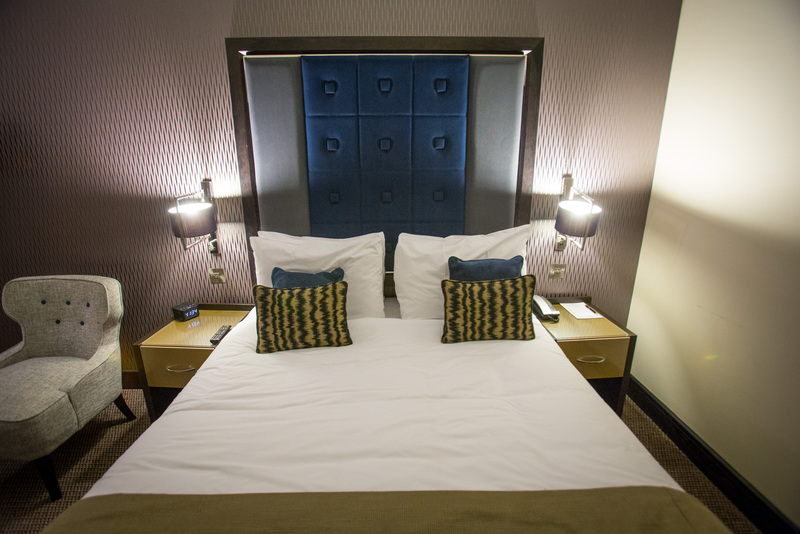 The best start to a busy day in London is a good night sleep in a comfortable bed and a great shower right after you wake up… and that’s what we got at the Westbourne Hyde Park Hotel. 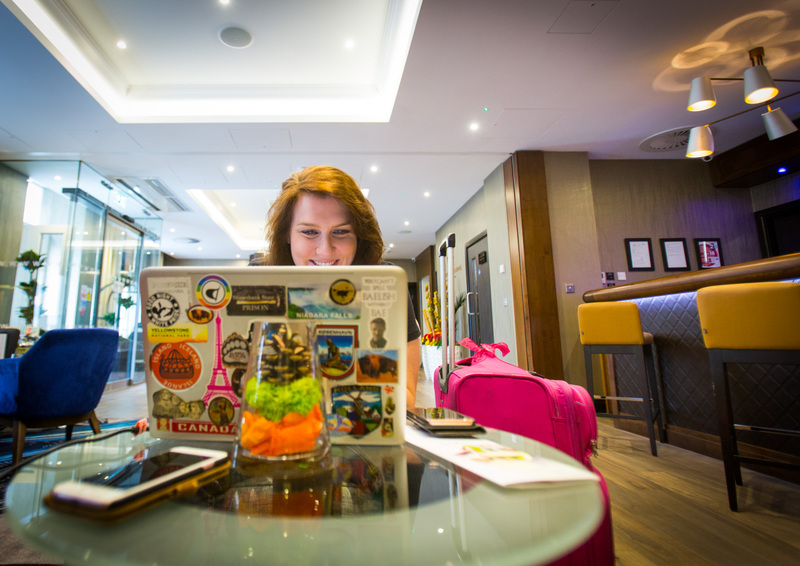 Getting some work done before a busy day out in London. 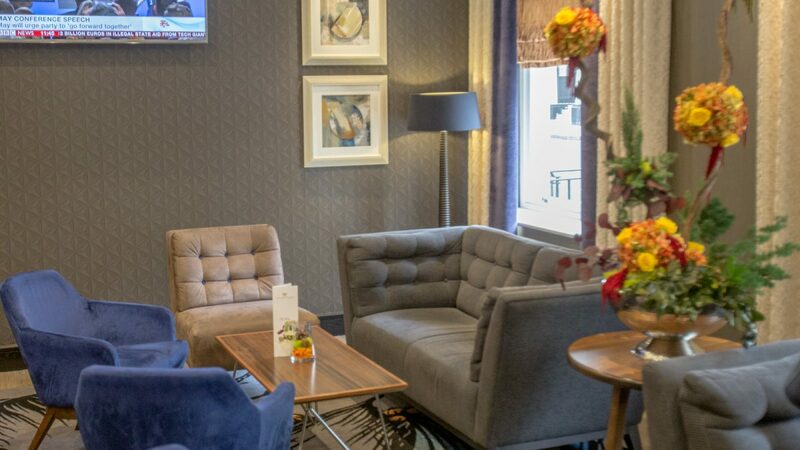 In case you’re looking for a lovely boutique hotel with a great location in London, we recommend checking out the Westbourne Hyde Park Hotel. With the discount code B51 you’ll get 10% off of your room. 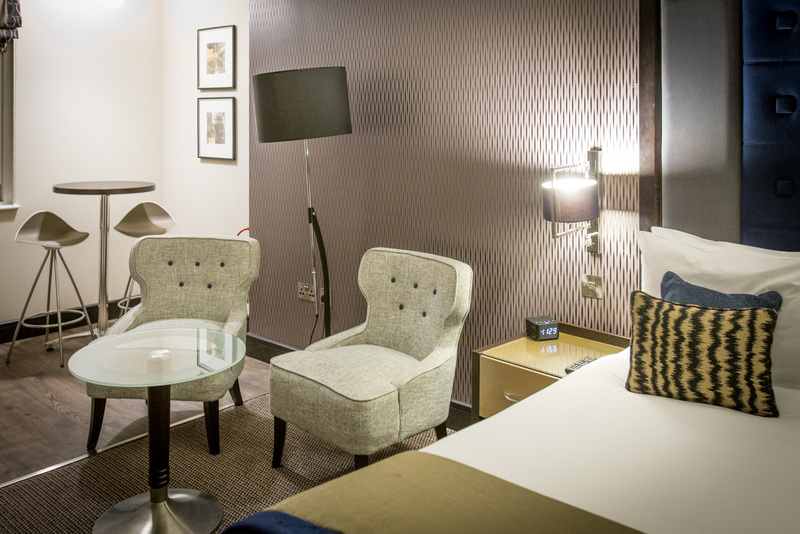 Type it in upon booking online or remember to mention it when booking on the phone!